The other little project thats had me busy is the new range of Time Lift Security figures from Crooked Dice. 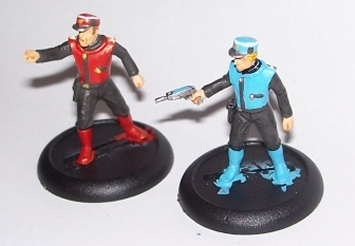 Still a little rough at the moment but I'm working a complete set of Spectrum Agents. 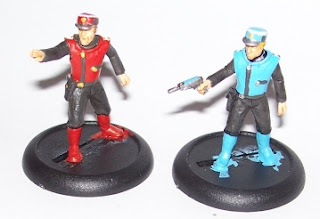 I went for the two obvious ones first - Captain Scarlet and Captain Blue! I'll post final pictures once I'm finished the set off.